Jerusalem and Zion Called to Praise to God; God’s Favour to Israel. 12 Praise the LORD, O Jerusalem; praise thy God, O Zion. 13 For he hath strengthened the bars of thy gates; he hath blessed thy children within thee. 14 He maketh peace in thy borders, and filleth thee with the finest of the wheat. 15 He sendeth forth his commandment upon earth: his word runneth very swiftly. 16 He giveth snow like wool: he scattereth the hoarfrost like ashes. 17 He casteth forth his ice like morsels: who can stand before his cold? 18 He sendeth out his word, and melteth them: he causeth his wind to blow, and the waters flow. 19 He showeth his word unto Jacob, his statutes and his judgments unto Israel. 20 He hath not dealt so with any nation: and as for his judgments, they have not known them. Praise ye the LORD. Jerusalem, and Zion, the holy city, the holy hill, are here called upon to praise God, v. 12. For where should praise be offered up to God but where his altar is? Where may we expect that glory should be given to him but in the beauty of holiness? Let the inhabitants of Jerusalem praise the Lord in their own houses; let the priests and Levites, who attend in Zion, the city of their solemnities, in a special manner praise the Lord. They have more cause to do it than others, and they lie under greater obligations to do it than others; for it is their business, it is their profession. “Praise thy God, O Zion! he is thine, and therefore thou art bound to praise him; his being thine includes all happiness, so that thou canst never want matter for praise.” Jerusalem and Zion must praise God. The church, like Jerusalem of old, built up and preserved by the wisdom, power, and goodness of God, is exhorted to praise him for all the benefits and blessings vouchsafed to her; and these are represented by his favours in the course of nature. The thawing word may represent the gospel of Christ, and the thawing wind the Spirit of Christ; for the Spirit is compared to the wind, John 3:8. Converting grace softens the heart that was hard frozen, and melts it into tears of repentance, and makes good reflections to flow, which before were chilled and stopped up. The change which the thaw makes is very evident, yet how it is done no one can say. Such is the change wrought in the conversion of a soul, when God’s word and Spirit are sent to melt it and restore it to itself. Lord, thank You for peace and tranquility that we can live under Your protection from those who would harm us and promote havoc. Father thank You for controlling the weather including the air that we breathe. May our living be unto Your praise and may our trust be completely in You. We do not understand fully Your ways when we witness the havoc caused by nature but we trust in Your overwhelming and wondrous love for us. Thank You Jesus we need not fear what man or weather can do to us for our souls are safe in You as we dwell safely in Your hands and abide under the shadow of the Almighty. Amen. 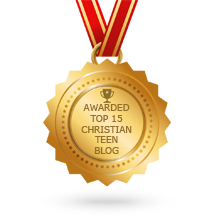 This entry was posted in A CLICK A BLESSING TODAY, CHRISTIAN FOUNDATIONS OF BELIEF, CHRISTIAN LIFE AND THE WORD, CHRISTIAN TAGALOG BLOGS, CHRISTIAN TEENS BLOGS, FAITH CHILD, SHARING STRUGGLES , Shaping Spiritual Solutions! and tagged favours of God, Psalm 147:12-20, reflections, Spirit of Christ, the thawing word, the wind. Bookmark the permalink.